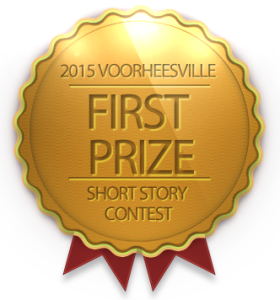 Olivia’s story won the Grand Prize in the 2015 Voorheesville Short Story Contest. Annie opened her eyes slowly and blinked at the late winter sun. She stirred languidly, breathing in the cypress-scented morning air and rising from her prone position with the blurry contentment of a woman well-rested. Beams of wan sunlight filtered through the crisp muslin curtains, softening the harsh whiteness that dominated the bedroom. With a happy yawn, Annie turned her attention to what seemed to be the only spots of color around. Eyes of yellow and deep violet peeped out from a sea of white anemone petals, all sitting neat and fresh on the little stand between the bed and the window. The woman looked up as the bedroom door opened, admitting a man in a somber three piece suit who bore a small tray of dishes. A beaming smile broke out on Annie’s face. “Good morning, love,” she said, closing the distance between them and giving her husband a quick kiss on the lips. “I thought you would have left for work by now.” Her tone was questioning, and she cocked her head to one side. “It’s not so difficult,” he replied, scratching the back of his neck. “You just don’t want to admit that you paid a fortune to get them shipped from further south,” Annie teased, enjoying the way her husband shuffled and gave a half-hearted grin. “Now what have you got there, Ray?” she inquired as she peered over the tray. “You knew!” Annie exclaimed delightedly, twirling and skipping over to the window. “Always the tone of surprise,” Ray muttered sadly behind her, and Annie giggled. “But don’t you think…” The sentence died in Ray’s throat, and he pursed his lips with a distinctly uncomfortable look. Annie followed his gaze as it flicked over first the shrouded window, then the cradle. Annie gazed at her husband earnestly, but there was no hesitation in his weak smile and gentle refusal. “I really have to get to the office,” Ray explained with a glance to his watch. “You’ll be alright without me all day?” he asked with a sudden intensity. “Yes, I think I can manage.” A hint of uncertainty crept into Annie’s voice at her husband’s strange behavior. She blinked as her eye was drawn to the glint on his wrist. “When did you start wearing a wristwatch, Ray? You just got a new pocket watch,” she observed idly. Ray stiffened, his hand freezing on Annie’s shoulder. “You’re sure?” he asked again. “Yes I’m sure,” she said, smiling as she decided to humor her husband’s odd moods. With a gulp and wide eyes, Ray backed out of the room. “I might hang around a bit longer. I need to make a phone call before leaving,” he forced out before spinning on his heel and practically running from the room. Confused and slightly hurt, Annie stared after her fleeing husband. “When did we get a phone?” she mumbled dazedly. Looking around, the wilted feeling that had surrounded Ray seemed to persist in his absence, spreading throughout the room and casting a strange dimness over the various shades of white. A bit of sunlight was definitely in order. With determined steps, Annie walked over to the window and yanked back the curtains. For a brief moment, dazzling sunlight streamed through the panes of glass, throwing iridescent flecks on the floor and making the walls glow, and Annie took a deep, satisfied breath. Then the light changed. It grew green, far too green, and descended over clean swathes of white like a shroud. A choked noise of surprise clawed out from deep within Annie’s throat. She looked about with panicked eyes. In its new sickly cast, the room appeared dull and hollow. Paint flaked off the cradle, surrounded by swirling motes of dust, and the downy bundle where Hazel had rested was gone, replaced by a browning bouquet of lilies and white roses. Annie slammed the curtains shut, but the room’s ghastly appearance did not change. Every surface, curve, and corner looked dim and neglected, and the flowers near the bed glared at Annie like so many accusing faces. 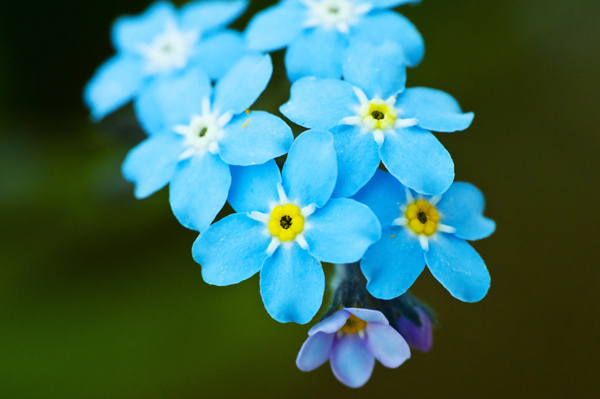 In her mind’s eye, next to the blank, lifeless sight of the room, the hatefully cheerful spring flowers she had seen outside the window mocked her. “Ray! Ray, are you still here?” Annie cried desperately. She ran to the cradle, staring in horror at the flowers nestled in where her baby should have been. She spun to face him, nearly dislodging his hands from where they rested on her back and arm. “Ray, the baby! Hazel’s gone! Ray, where did Hazel go? And- and-” Annie’s words were swallowed in her panicked gasping for a moment, and a slow look of terrified realization dawned on Ray’s face. “Ray it’s February! It’s February but all the flowers are out. I don’t know what’s happening. What’s going on?” Annie had nearly worked herself into hysterics, clutching at her husband as he shushed her with poorly disguised anxiety. As Ray turned and left with a final pleading glance, Annie sat down with knees curled to her chest and gasped in breath after unsteady breath. Her eyes flicked to and fro across the room, and whenever they fell on the disused cradle she fought back a sob. Eventually, she shifted. Hesitantly, her every motion meditated and skittishly executed, Annie crept towards the window. With a shaking hand, she drew one of the gauzy veils back. When Ray reentered a minute later, Doctor Coulson at his side, Annie was standing listlessly by the open window, cheeks gleaming with sunlit tears and hair tousled by the breeze. Her eyes skimmed over bright patches of flowers – rosemary, daffodils, honeysuckle, roses – and finally rested on the small grove of year-old cypress saplings shading a little slab of marble. Annie knew then that all seasons must come to an end; this one ended with the slide of curtains being drawn back to let in the sun. Olivia Suozzo is a junior at Clayton A.Bouton High School.